Turn your work. *Skip next stitch. 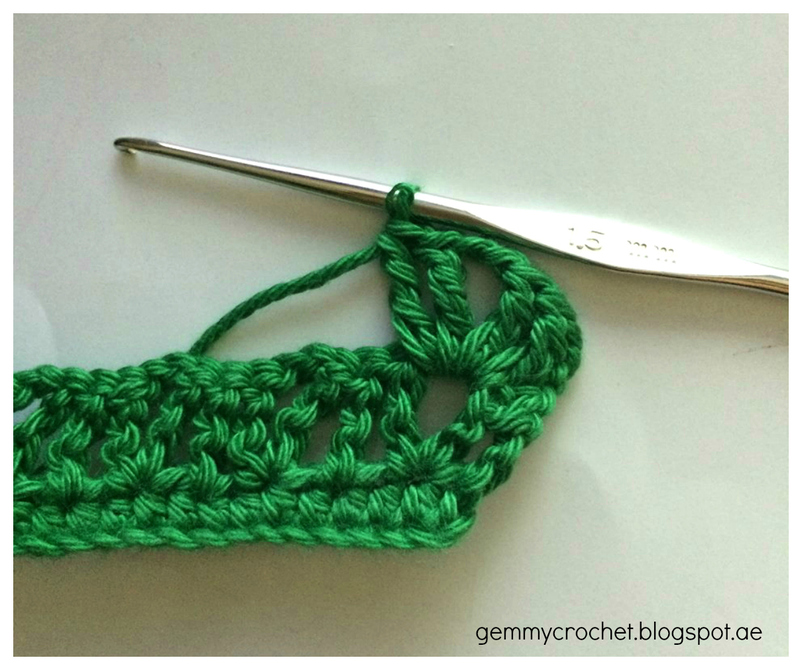 1 treble crochet, chain 2, 1 treble crochet (Creates V shape). * Repeat ** until end of the row. Chain 3. Turn your work. 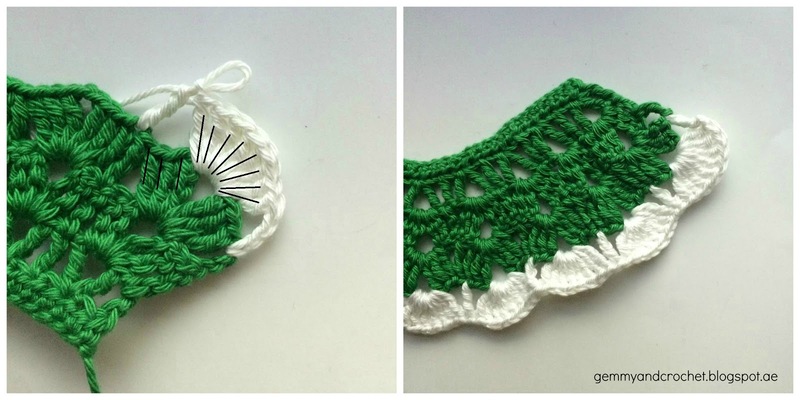 *Into the V shape: 2 treble crochet, 2 chain, 2 treble crochet. Skip next stitch. 1 treble in the next stitch (should be directly from the 1 treble crochet from the previous row). Repeat ** until end of the row. Chain 3. Turn your work. 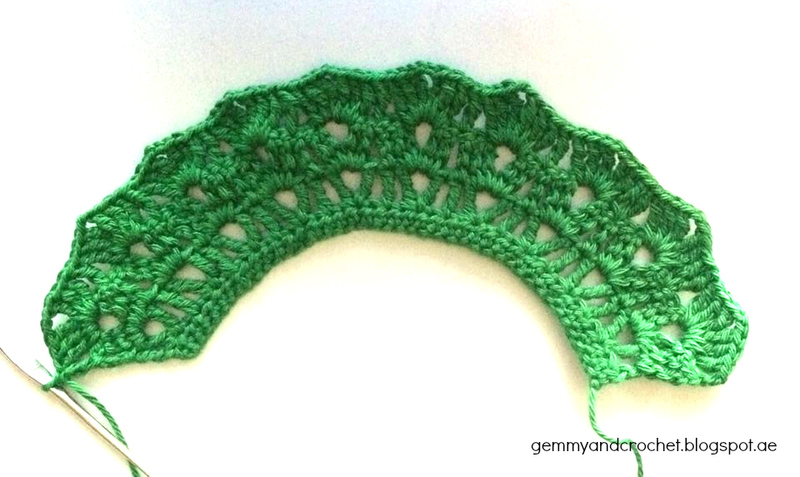 Work into the V shape: 2 treble crochet, 2 chain, 3 treble crochet. Skip next 2 stitches. 1 treble in the next stitch (should be directly from the 1 treble from the previous row). Repeat ** until end of the row. Chain 1. Cut and sew the excess yarn at the back side of the bib to keep it neat. 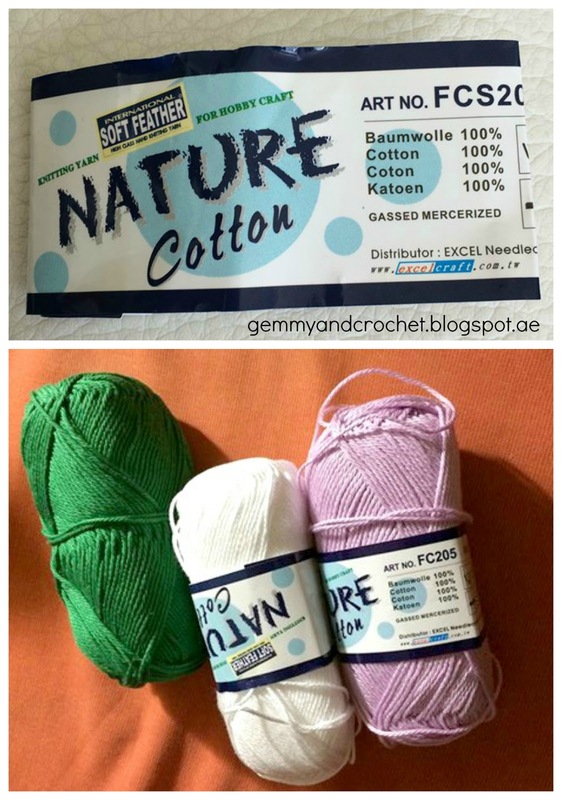 Next color is the white yarn. Start it at the top of the previous 3 chain stitches. 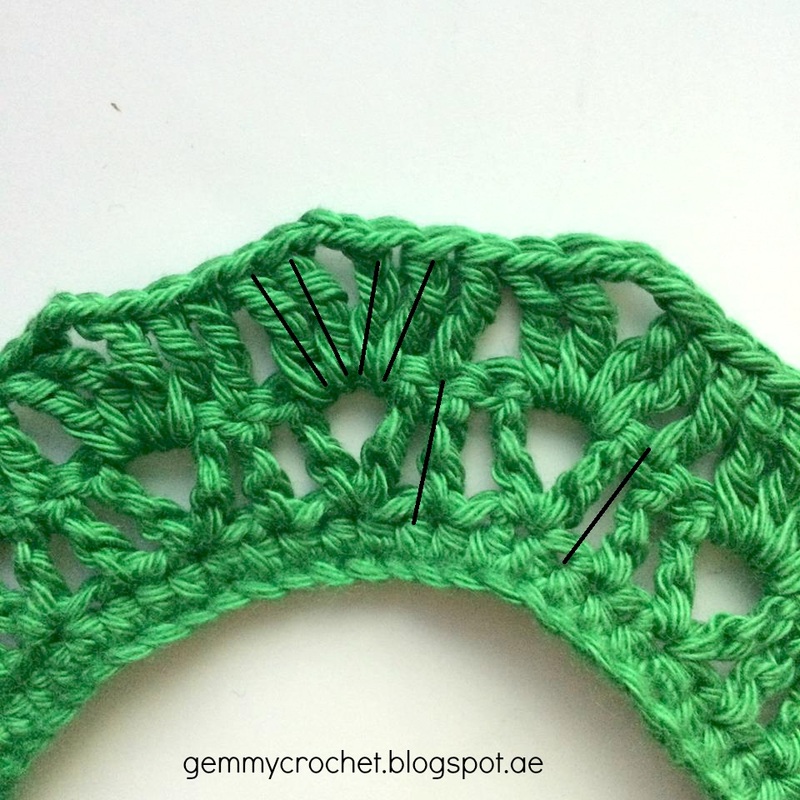 Work into the V shape: 8 treble crochet. Skip next 3 stitches. 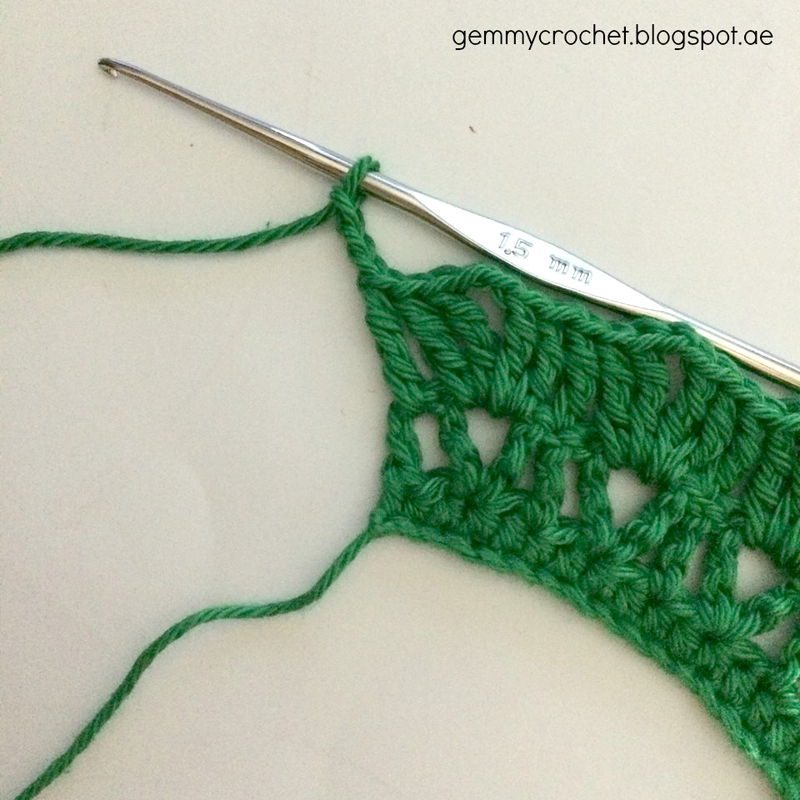 1 treble crochet in the next stitch (should be directly above the previous treble crochet). Repeat ** until end of the row. Chain 1 to secure the end. Cut and sew excess yarn at the back side. 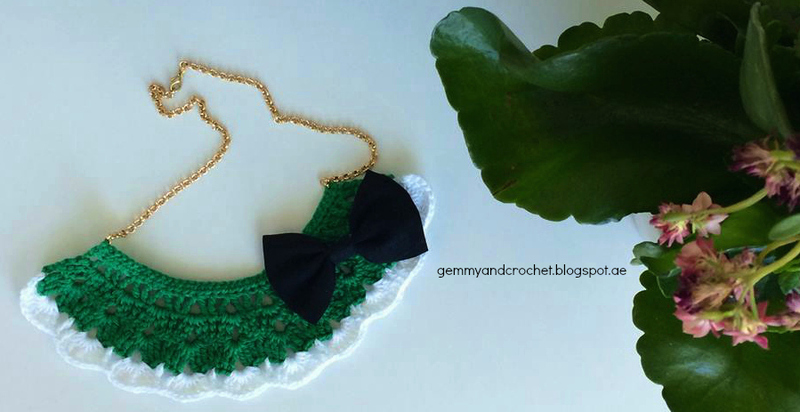 Attach a gold chain necklace and ribbon to finish the bib crochet. And Violaaaa! You made it. You can also check out this very nice collar pattern by www.lululoves.co.uk. Direct link is HERE. You will love her work too. 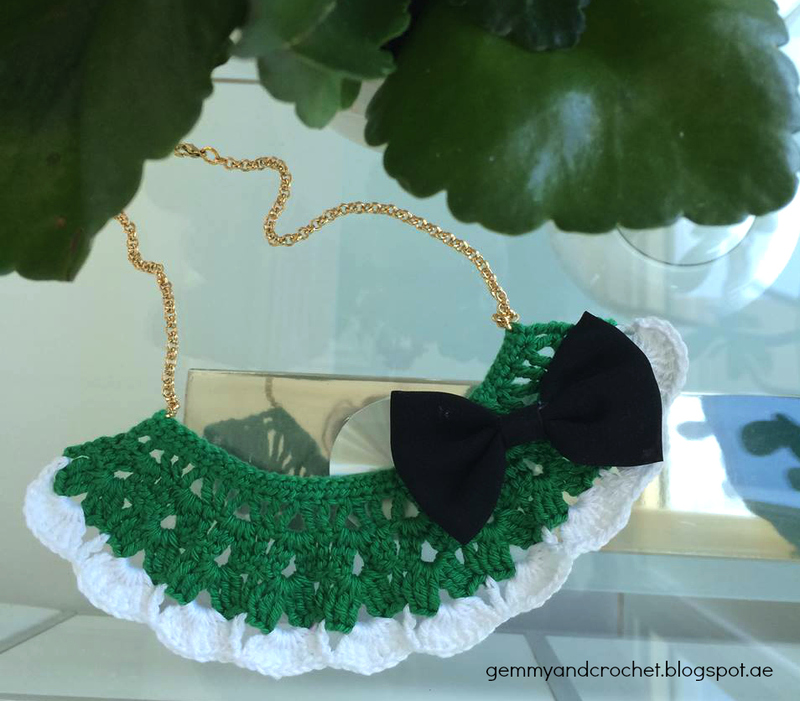 I made a bib necklace instead of collar style.